Andy Patterson Co-Director at Automotive Repair Systems Duabi recently met Jordan Belfort (The Wolf of Wall Street) for Coffee. Listening to some amazing stories and giving his tips on how sell and how not to sell. 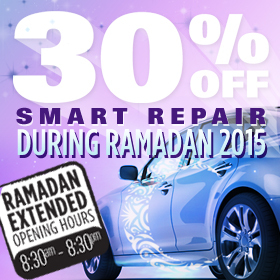 To celebrate Ramadan, we are offering all Automotive Repair Systems customers 30% off all Cosmetic Smart Repairs! Book yours today! Pick up this months Bodyshop Magazine to see Automotive Repair Systems full page feature where you can see before and after shots of the scale of work we undertake.